Congratulations – Jamie Leigh Martin, you have won the giveaway! I sold Mary Kay for several years until health issues made it difficult for me to keep up with appointments and other commitments. 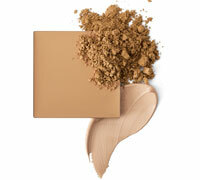 I have the mineral colors, foundations and bronzers left from those days, and love them. I also have more than I can use. Most of my palettes are for fairer skin, as that was my primary customer base. I would like to offer my readers a chance to try these great products. I will customize a compact with either a blush, eye color set, or bronzer for one lucky reader. Mary Kay has been sold for years, and has a great reputation. I started using their products because I have sensitive, acne prone skin. Their anti-acne face wash and other products worked wonders, and I adore their powdered mineral foundation. This giveaway is from my own personal supply, and is not funded by any company or independent sales rep. I have limited colors available, so you will get what I have that matches your profile best. Please leave me enough information to make a good selection. 3 For an additional entry, visit Mommies Point of View and enter one of their giveaways and then come back an tell me which one you entered. For the giveaway hop enter the link below. * This giveaway is open to U.S. Residents only. The prize and colors will be selected by me and are non-returnable. The giveaway will be open from 5/25/12-6/12/12. Disclaimer – Please note that Karma Media are not responsible for any giveaway sponsors who do not fulfill their prizes on all of the participating blogs in the Bringing In Summer Giveaway Hop. I’m planning to start my own blog soon but I’m a little lost on everything. Would you propose starting with a free platform like WordPress or go for a paid option? There are so many choices out there that I’m totally confused .. Any tips? Kudos! Do not start with WordPress, host with Go Daddy, or use blogspot. They allow you a lot more freedom. Pick a topic and try to stick to it. I haven’t been good about that, but that’s because this blog is under construction. I would also suggest contacting Team Mommies and as many blogging groups as you can find on facebook and joining up with them. They can answer questions, help you get into giveaways, and generally help you get started. When you start a blog, let me know and become one of my reader/reviewers. I can hook you up with Team Mommies and other blog groups that will get you in on giveaways and help you learn the ropes. Just pick a name and a topic and go from there. I’m fair skined with blue eyes & brown hair. I like grays, blues & black for eyes. Berry for lips. “Liked” this blog on Facebook as Lisa Brown. Follow blog via NetworkedBlogs: Lisa Brown. I like greens, purples, and browns or neutrals, for shadows; I like peaches/corals for blush; love bronzers for light-med skin; I have light skin, blue/green eyes. I like this blog on facebook as Jay Dee. I like pink and peachy blushes, earth tones for eyeshadow, and light bronzer. Sorry if this is a duplicate comment, not sure if my first one went through. 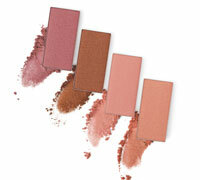 I like pink and peachy blushes, earth tones for eyeshadow and light bronzer. I love the mineral powder foundation. I’m fair with blue eyes. I have entered almost all the giveaways from Mommie’s Point of View, which is where I found this one! Following via Networked Blogs – Jamie Leigh Martin. I like blues, greys, and black..
I’m brunette with fair/ very lightly tanned skin and would love the powdered mineral foundation!